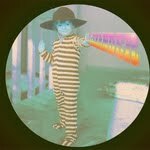 Alexander Ebert of Edward Sharpe & The Magnetic Zeros will be releasing his solo album 'Alexander' March 1st on Community Music (via Vagrant) and on Feb 28 via Rough Trade. Above is a link to check out the first two singles, "Truth" (Free Download) and the brand new "Million Years". You get a feel that he has a great talent for song writing and takes it as an art and is always wanting to explore and perfect each of his songs. Truth is no different it is a catchy tune that is very easy on the ears. From the first listen you take in all the unique background sounds combined with Alexander's voice and boom you have something great. Alexander will be an album to look out for and to see where all the other songs can lead too as well.